March 28th, 2015: Calvin, Kate & Kara have a chat before leaving Africa in the wake of the recent JL:A Mission. It's Warlord has been defeated and turned over to the authorities along with those of his men who didn't have the chance to run far away. It wasn't really worth the time to hunt them down; they'd provide a cautionary tale for anyone thinking to fill the void. The captives - the kids and women - have been freed and are all in the last village the JL:Aers passed through earlier. They've been given food and healing and, just to reinforce the point that they're not been abandoned, the Americans are still there the next day. Besides, Mimic can help get them back to their homes once he knows where those are. Right now, he's sprawled in the back of a Jeep, telekinetically juggling a couple pieces of fruit. Something nice and simple. "So," Kate says as she comes up to the side of the car, folding her arms over the back and looking in at Calvin. "I was going to throw my quiver in there, but I decided it would be less funny when you squished them or teleported them to Tokyo because I startled you." She flashes a grin, looking back to where the fruit's moving all on its own. "You have a lot of really useful talents." Mimic smiles slightly at Kate's quip and the fruit floats over to the pack they came from. "I can't really take credit for them. But they do come in useful, especially in situations like this. And then we'll soon return home and leave these people to their fates. Did we make things worse for them?" "I don't know," Kate admits, wrinkling her nose and shifting her weight to one hip. "I wish I did. I wish there was an easy answer. But there isn't. We still did the right thing, though. We saw evil, and we fought it. Now these people have to find a way to do the same." She rests her chin on her crossed arms, still frowning slightly to herself as she mulls it over. "We get it at the shelter a lot. But you can't pick up a whole village and take it somewhere away from the trouble." "Fighting evil is a lot easier when you have powers." Mimic points out. "Or at least weapons. Or food. But yes, we did the right thing. I just wish we could do more. At least if it was in the US, say in mutant town, I could keep an eye on things. But this is an entire country. Or more." "It's easier with powers," Kate shrugs. "That doesn't mean it can't be done without. Weapons and food are kind of a big help. Food especially," she adds with a sigh. "But these people have to choose to do it. And it's fine if they don't, or they can't. It's not for everyone. It doesn't make them weak, or wrong. Just human. But then, they have to live with the consequences." She lifts her quiver over her shoulder, setting it down in the back of the jeep. "We fight the battles we can fight. It's just not all about the battles." Kara arrives from the sky and approaches the pair chatting by the jeep waving to them, "Hey you two, I think the last jet is packing up soon." She may have heard part of the conversation, "We just have to be happy we can do whatever good we accomplish, we won't ever be there to save everyone. We just have to be grateful we had the opportunity to save some people." "All the determination in the world won't do them much good if they don't have weapons and the warlords do." Mimic points out. "I don't think arming them is the ideal solution though." But it's tempting. And some of the villagers already went to scavenge what they could from the Warlord's encampment. He nods to Kara when she flies in. "No, we can't save everyone." That he knows all too well. Sometimes you can't even save an entire world. Or a reality. "Well, they have a chance at least." "Hey, Kara," Kate flashes a grin back at her friend when the other girl approaches. "I didn't expect to see you here, thought you were going to fly yourself home. Ooh, speaking of, when we get back, I've got a friend you might want to meet. Maybe. I dunno, he's my friend, but he's a little prickly sometimes." Like…most of her friends. "We did what we could," she agrees with Cal. "Now it's up to them." Kara can only nod to that, "I was trying to help with some local problems since I'm not really on a schedule to head back." She could obviously just fly herself back as Kate had pointed out, "We should maybe look at trying to form some other branches of the JLA across the world so they can help other countries and contintents more frequently." "Unless you can reroute rivers, set up aqueducts, furrow and water fields, I'm not sure another branch would help all that much." Mimic says. "Which you probably could do but you'd need an environmental impact study to make sure you just didn't make things worse." Shaking his head, he climbs out of the Jeep. "Feh. Whatever. We do what we can. We're not gods." "I know gods. Even gods aren't gods," Kate wrinkles her nose at Cal's words. "I like the idea, though, Kara," she nods to the other girl. "I like the idea just as…Well, you know. More people with powers every day. And plenty of them who want to help make the world a better place. I'm sure it happens here just as much as New York." Kara shrugs a little at Cal, "What separates us from others is we try to make a difference. I don't see why we can't help teach others to do the same." She gives Kate a quick hug and keeps her arm around the other woman's shoulder, "Exactly, it can't just be in America there is superpowers. We should try to inspire others all over the world." Mimic looks at Kate and falls silent. After a moment, he says "The kids. At least a couple of them are mutants. I know where they could be taught. Trained. And if they wanted, they could come back and protect their villages. It would take time but…" He shrugs. It's something. "I should talk to them and their parents." "You know, I think that's where I'm deficient in the friends department," Kate muses. "I've got all sorts of friends. Mutants, spies, gods, magic people. Aliens," she teases with an elbow nudging Kara's ribs. "But I don't think I actually have much in the way of friends from other places in the world." She nods to Cal's words. "It's worth looking into. Maybe if the kids weren't here, the kids and the villages both would be a little safer, too." Kara doesn't seem to understand where the pair want to take the kids and she asks, "What's wrong with the kids and why do we want to take them from their families?" "There's nothing wrong with them." Mimic tells Kara. "But some are mutants. They could be trained to use their abilities to defend their villages. Who knows, some day they might even be the start of a Justice League in this part of the world. 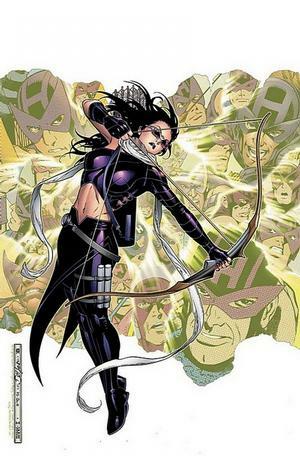 And as Hawkeye says, if they aren't here to be kidnapped, that's one less reason to hit the villages. Though food and women are probably enough by themselves." he adds sourly. "And no one's saying they should be taken without anyone's consent," Kate adds quickly. "Just offered the opportunity. It never hurts to let people know they have choices," she explains with a small smile. 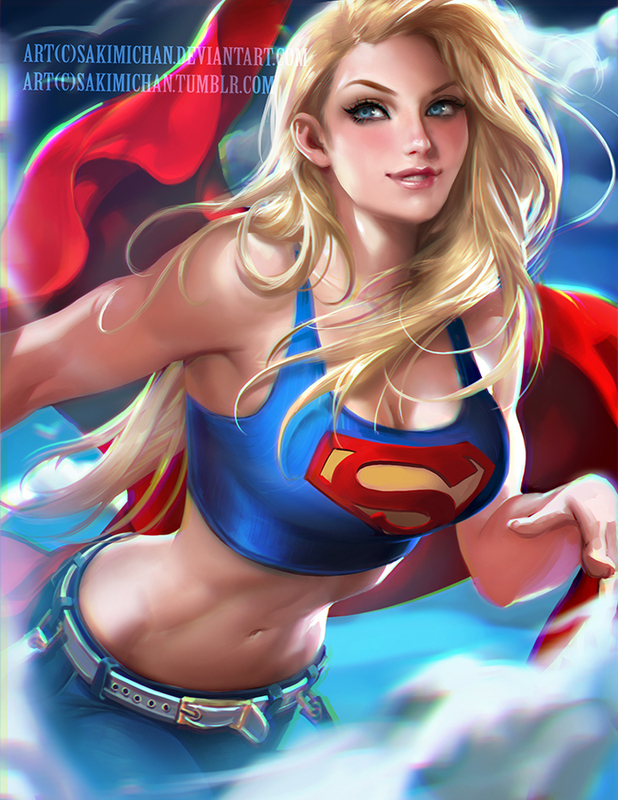 Kara nods and crosses her arms over her chest as she looks around the area, "That's a long time from now though, I bet there are heroes out here just waiting for the chance to do good. They just need to be found." Mimic nods slowly. "Probably. Or waiting to do evil. Not everyone with powers is willing to use it for good." he points out. "But there will be some and maybe we can find some." Cerebro, for instance. Another thing he'll need to talk to the Professor about. "If we do find them, we'd need to give them a reason to act. And the confidence that they could make a difference. And weren't alone." "I've actually been working on trying to build a program for that sort of thing back home," Kate admits, reaching up to rub a hand at the back of her neck. "I mean. It's sort of short on resources, so it's been more of a…placement service sort of thing than real training. But it's a goal." Kara leans against the jeep and pulls a pack of gum out of her pocket and offers it to the pair of you, "It's terrible to assume people are waiting to do evil, most of them probably just need to be inspired to do good instead." Mimic gives Kara a look. Yeah, wait till you get to know humanity first. But all he says is "Maybe. At least some." To Kate, he says "Maybe you should runt hat idea through SHIELD. Get some organization, resources and funding." Kate shakes her head to the offer of gum, smile flickering, before wrinkling her nose at Mimic's suggestion. "SHIELD's too official, honestly," she shakes her head. "I mean, don't get me wrong, they're pretty cool. On an individual level. Clint's cool. Natasha's cool. Hill's cool. Hunter's awesome. Mockingbird's…" Argh, the hard part. "Good at what she does. Great at what she does. But as an organization…" Trailing off, she wiggles her hand from side to side. "Too many people show up with powers wanting to do the right thing and make a mistake. They don't trust SHIELD not to turn them in, you know?" Kara doesn't know much about SHIELD but what little she had seen suggested they may not be the safest place for everyone, "I'm not sure, but I'm going to start heading back to Metropolis soon. Either of you want a ride? I swear I won't drop you in the ocean." "Point." Mimic acknowledges. "But you need backing from someone or something with enough money and isn't tied to a government. At least SHIELD is the UN." At Kara's offer, he shakes his head. "No thanks, I'm good." "And someone who isn't going to turn it into their private army," Kate agrees with a sigh to Mimic. "Which is also a hard part. Maybe what I really need is just to develop some patents or something so I can just be insanely rich and fund it myself. Or I could do like everyone else and marry rich. I'm not sure Clint would be cool with that plan, though." A smile flickers and she shakes her head to Kara. "Thanks, but I think I'll take the long way home." Kara shrugs and stops leaning against the jeep, "Well, I'll see you both back in Metropolis! Have fun with Africa and flying stuff." She takes off and flies towards the sky, clearly she had stuff back in the USA to take care of! Mimic raises a hand in farewell as Kara flies off and he watches her a moment. "Shame she's not human. I'd love to be able to use those powers." Ah well. Can't have everything. "Well, Tony Stark isn't married." he suggests with a grin. "Fly safe, Kara," Kate waves after her friend before turning back to Mimic with a smirk. "Or the marrying kind, for that matter. I've been meaning to call him, though. On the entirely professional, hey, you're a public super hero, I'm a public super hero, we should talk super hero business front." "Looking to recruit him?" Mimic asks, not entirely seriously. Or even mostly. "Be sure to dress appropriately." He lifts a hand and pantomimes unbuttoning the top buttons of the shirt he's not wearing in place of his costume. "That should get his attention." "We've met," Kate shrugs. "The shelter works with the Maria Stark Foundation sometimes for special projects and that sort of thing. I know he's got a reputation, but I don't think it's really an issue on my end. I'm pretty sure I scan as 'good kid' on his radar," she chuckles. "What kind of shelter is it?" Mimic asks. "Homeless? Abused women? I've heard of the foundation but don't know what causes they support. There's never enough money to fund all the shelters that are needed in any one city, let alone all of them." "Battered womens shelter," Kate nods. "Eleanor Bishop Memorial." A small, sad smile crosses her features at the last. "My mom was big into charity. When I was a kid, we used to go to the soup kitchen together. That was our thing. So after she died, when we went over the will and looked at the trusts she had set up, I got the shelter running. Or I hired people to get the shelter running," she says honestly. "I didn't have the business know-how for it. But I still work there. I pick things up, drop things off. Teach self-defense classes every week." Mimic nods and considers Kate thoughtfully now he knows she's a rich kid. "So how did you get into the whole heroing thing? And with a bow and arrow no less. That's not exactly the first thing most people would think of even if they decided to become a masked vigilante." "Weapon of opportunity?" Kate's smile slips crooked as she shrugs, leaning against the side of the jeep. "I knew how to use one from camp. When you're fifteen, you can't exactly step into a gun shop. But you can totally get a bow. And swords. Fencing," she adds in explanation. It's not a full answer. It's the answer to why the bow, but not to why be a hero. Mimic noticed that, yes. But he's not going to push it if she doesn't want to answer. "True enough. Not to mention Errol Flynn's Robin Hood still makes me want to wear lincoln green and learn to use a bow. It's a very romantic weapon in some ways as is a sword. Which I assume you can also use since you mentioned it?" "Olympic level archer, fencer and martial artist," Kate answers, a little bit sheepish. "And, you know. Until a couple weeks ago most of my trainers thought I never bothered because I just wasn't applying myself. At least they probably feel a little more vindicated now, right? Anyhow." She shrugs. "I ran into Clint a few years back, and he offered to help me fine-tune things. Get better. Learn some of the not-fighting parts of this. Which is probably why I'm still alive. Oh, and," she holds up a finger, "I also play the cello." "Now that's the impressive part." Mimic states. "I've alwys wanted to play an instrument. Do you like 2 Cellos? Those guys are not just hot but they totally rock. I'd love to hear them live." Kate grins, laughing. "Yeah, they're pretty cool. I still keep up with it, actually. It's really good for when I need to decompress, stop thinking about the ugly stuff for a little bit. Cello's a great instrument. Amazing range. And…I don't know, there's something organic and intimate about playing it. Though I've been leaning toward getting an electric one. So I won't feel as bad if it gets blown up or something." "I know what you mean." Mimic agrees. "Among other things, I sing to relax. Depending on what it is, you can just get lost in the music for a few moments. You should go electric. They have a good sound and are just better suited to some pieces, especially the non-classical." "And no great loss to culture if they get blown up. You just get a new one." Kate's smile slips crooked as she looks out over the plain. "My mom always taught me that we do what we can to make things better for everyone around us. I think that's really where all the hero stuff started. Small. Going to the soup kitchen. Helping out at a shelter. Giving a few dollars to the bum on the street corner. That's why it doesn't bother me to go toe to toe and shoulder to shoulder with people with powers, I think. I'm still doing what I can." "Well, be a bit careful depending on what powers. But skill training can do a lot to balance being outmatched in raw power department. We put a lot of emphasis on training." Mimic tells Kate. "Both as individuals and in a team. With powers and without. You need to prepare for all contingencies." "We need to train together," Kate replies in a lower tone, scrubbing a hand over her face. "We're not a team right now. We're a bunch of heroes who all think we know the right answer and we can handle it all on our own. Powers or no powers, we…really need to work on that." "Well, assuming I become part of the team." Mimic points out. "When I heard it involved mutants, I pretty much invited myself along. Not that I'm against joining." he hastens to add. "But no one's asked and there's the whole dual membership thing to take into account. I have no intention of leaving the X-Men." "Sure, that makes sense. I mean. You'll forgive me if I cling to reasonable people when I find them," Kate winks, teasing, as she pushes off the jeep. "Should probably finish packing up to head back, though. As far as I go, Mimic, I'd be glad to work with you again. Especially if we run into mutant issues." Mimic nods his agreement. "Yeah, we should get ready to go. I won't be sorry to leave though I'll come back after I talk to a person or two about getting the kids some training. I'm not sure what we can do about the human ones. So long as albinos are considered magical, they'll always be in danger." "I think I draw the line at trying to kill superstition and build an educational system for an entire continent," Kate says ruefully. "I know my limits. But we've done the good thing we can do here. The rest will be up to others." She pushes off the jeep, retrieving her quiver and walking backwards toward the jet. "Good luck!" Mimic reaches for the pack which obediently floats over into his grasp. "Yep. See you on the jet in a few minutes." He has a couple people to speak to before leaving.